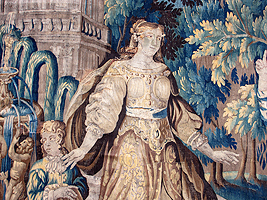 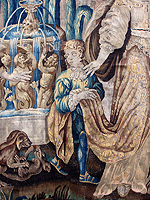 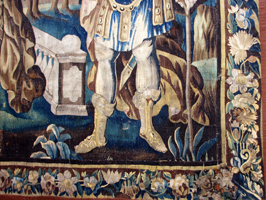 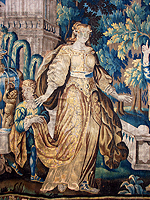 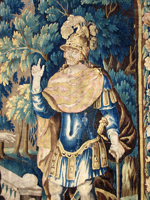 A Fine and Large Flemish 17th/18th Century Baroque Figural Tapestry "A Royal Courtship" depicting an allegorical Courting scene of a young Princess meeting her Prince at the watchful eye of a mesmerized Queen standing behind her. 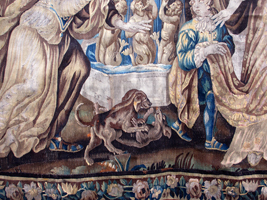 A young girl supports the Princess' dress train while two playful dogs roll on the ground by her feet. 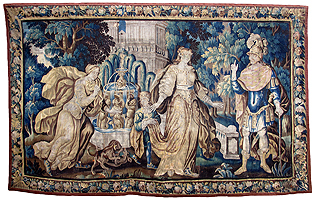 Her welcoming standing Prince in period military uniform and all taking place in a Royal garden with a verdure background with trees and plants next to a castle and a gushing two-tier figural fountain. 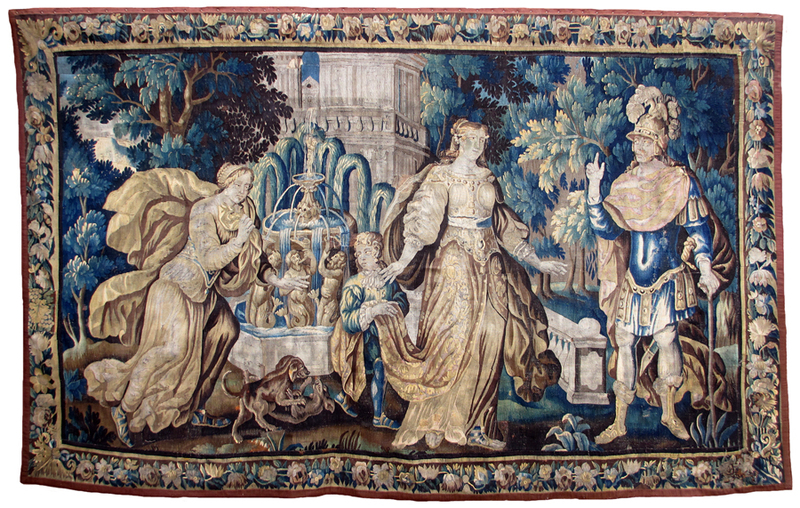 A floral border wreath trim decorates the entire tapestry on all four sides. 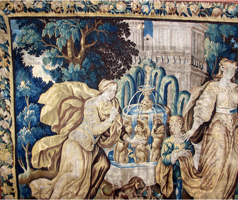 Circa: Brussels, 1700's.